Don’t waste time or energy worrying about the court. Just play the game. In the year 1974 our company pioneered the backyard court. Sport Court West has been one of the official CourtBuilders since the start, serving Salt Lake City, Utah and the surrounding states like Wyoming & Idaho. We don’t settle for second place, and that perspective has allowed us to be the best in both installation and servicing of modular sports flooring. This is who we are at Sport Court West. "I wanted to let you know how much we love our Sport Court. At least one of our three kids uses it ever day. I promise I'm not exaggerating—we use it every day." 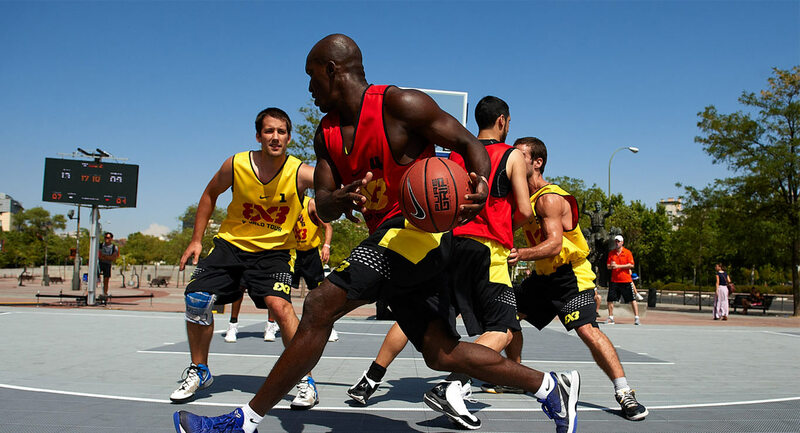 Sport Court is the world's largest court builder, but at Sport Court West we give you hometown service. Our team is committed to quality and will be there till the end to get your indoor or outdoor court done right. I love family, soccer, roller hockey, and coaching. In fact, I came to work for Sport Court because their surface was an integral part of my daily training and game-day victories when I was a roller hockey champion with the Utah Rollerbees. The Sport Court roller hockey rink legitimized our sport and gave us a way to brand the game. I love the families and communities I get to help when designing courts. In fact, sometimes my wife gets mad at me because I spend so much time on my CAD program making sure a customer has several options to choose from that are perfect for their athletes. My favorite installations? Well, there is the Coca-Cola themed home gym, the Deer Valley Tennis court that we basically had to rappel to install … and Soccer City, because there I get to watch kids (like my 4 daughters) learn the values taught by sport! Matt Reynolds specializes in building backyard memories for families across the mountain states. Growing up in Utah, he has enjoyed playing all types of sports and outdoor recreation including basketball, pickleball, snowboarding, and wakeboarding. 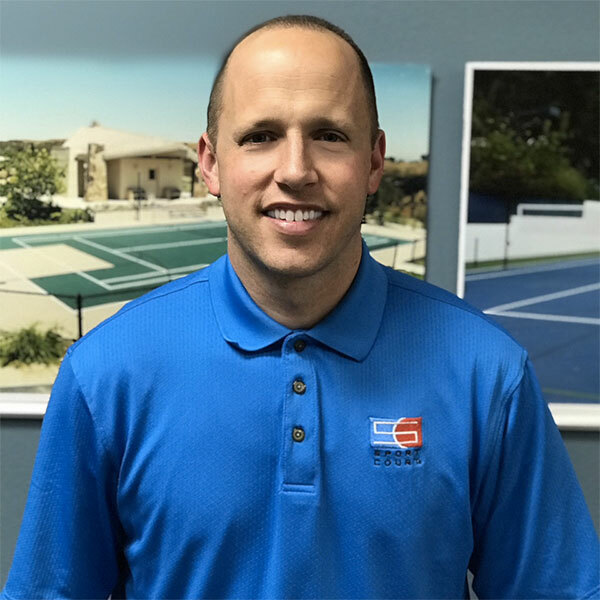 After graduating from Utah State University with a degree in business administration, Matt moved to Las Vegas and joined the Sport Court Team. He has spent many years building beautiful backyard courts for families all over Las Vegas. 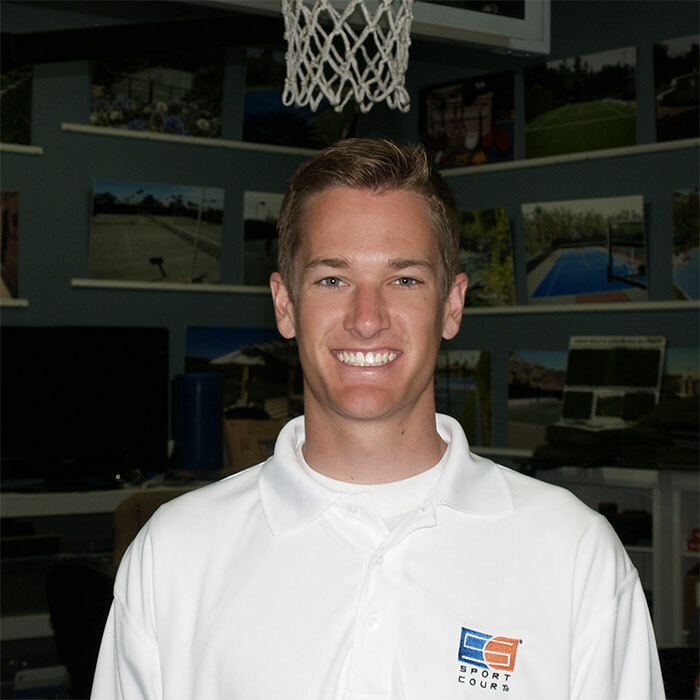 Matt currently lives in Utah with his family and enjoy a backyard Sport Court game court of their own. 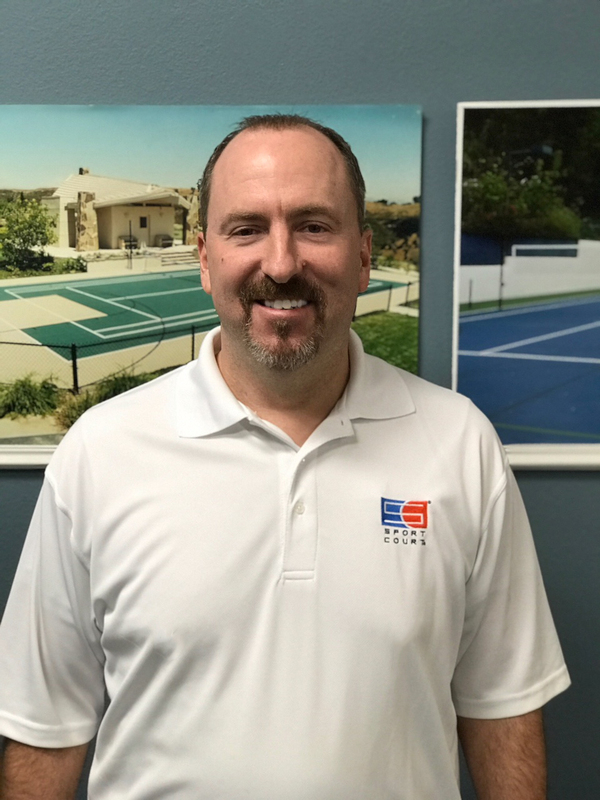 Scott Hendrickson has grown up on a Sport Court game court 1992 and has a passion for family recreation, sports, and fun. His life success and character traits are built on his work ethic and character traits are built off his work ethic and ties to his family. 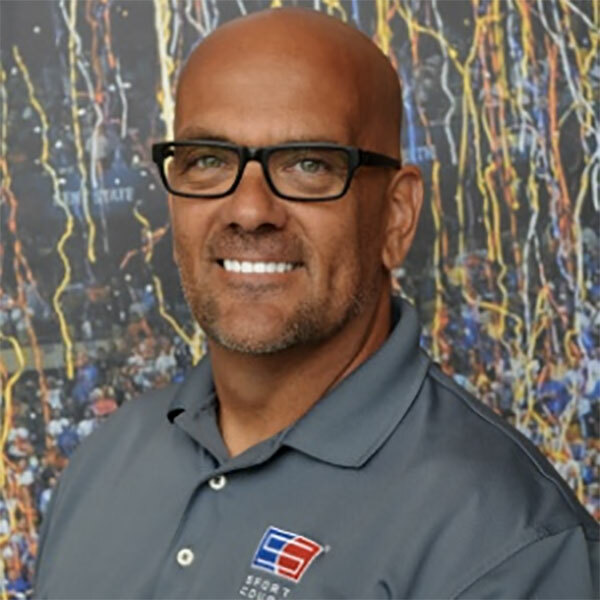 A local graduate from BYU, Scott studied business management and experience design which makes him the perfect fit for sports construction design. When Scott is not building courts you'll find him with his family, playing on his backyard Sport Court game court, or performing on the stage. basketball and football fan. When Eric is not working, you will find him golfing or fishing. Sport Court West is ready to make your court—and your experience—the very best. Custom design experts will help you design the court for your sports needs with your color palette. We are committed to providing customer service and project coordination from court design to installation to maintenance. Copyright © 2019 Sport Court West. All Rights Reserved.